A travel agency designed for the conscious traveler. It was the summer after college. I got together with a few friends to plan a trip. We decided to have certain goals. We wanted to do something focused. We had a limited amount of time and we wanted to make the most of it. We didn’t want to have to travel around too much once we got there. We also wanted to do something that was eco-friendly and ethical. We wanted somewhere to chill out, somewhere to laze on the beach in the evenings but also some activity or theme that would tie it all together. We talked about spa weekend getaways and adventure trips. My friends at the time had just got into yoga and were really eager to integrate that somehow. Once we stumbled on the idea of wellness retreats, everything seemed to click. 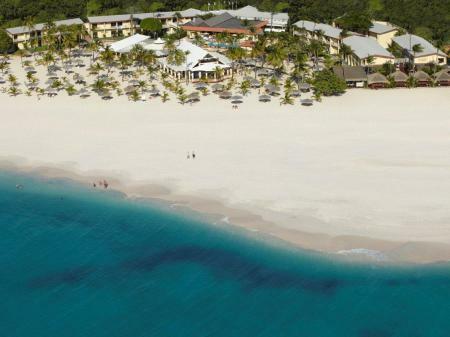 We looked for Green Globe certified destinations and found Manchebo Beach Resort in Aruba. We had a good feeling about it and we weren’t disappointed. Two weeks after completing our final year exams we arrived on the white sands of Eagle Beach. Overlooking it was our two-story boutique resort. A little giddy, but worn out from the flight, we checked in our bags and treated ourselves to some fruit cocktails. The next day we were all up early for a poolside breakfast. Then it was time for our first yoga class. All but two of us had already some experience. It didn’t seem to matter. Everyone found their level. 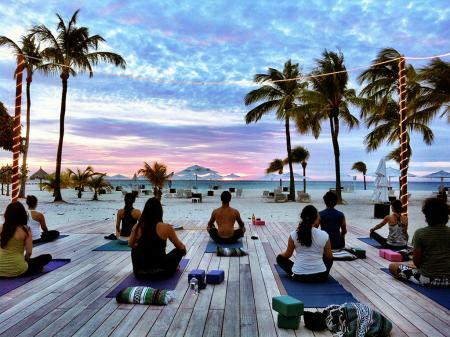 Manchebo, it turns out, has two beach-side areas dedicated to yoga. While the instructors were first-rate, it was the combination of cool breeze and soothing ocean that really elevated the whole thing. We didn’t know it then but it was the first of several wellness retreats and spa weekend getaways. Events that would keep us in contact over the years. Dining out that evening at one of the many a-la-carte restaurants, we didn’t know what lay ahead. For all we knew this trip was a long goodbye, to campus life and to old friends. But we knew we had made the right decision. The Caribbean lapped on the shore like a catalyst to our desires. As darkness fell we walked down to meet the waves and talk about the future.